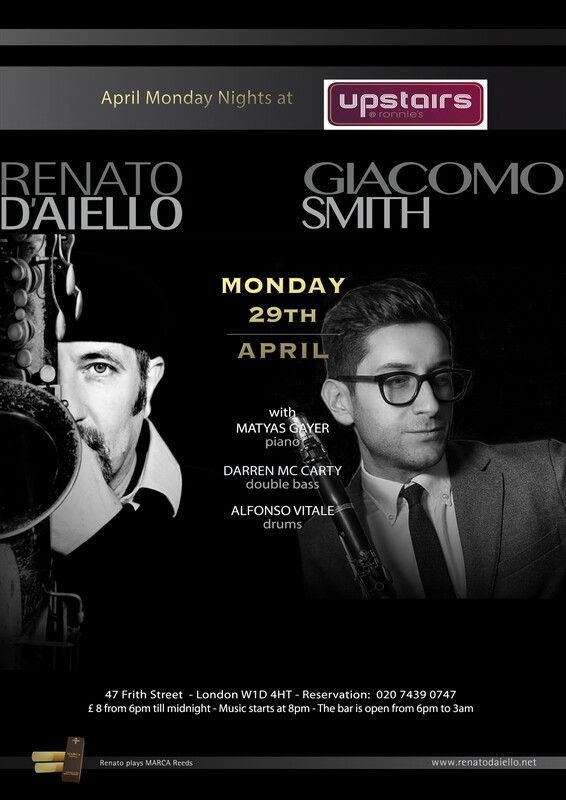 Every Monday at Ronnie Scott's Bar from 8pm to midnight, Italian saxophonist Renato D'Aiello gets your week off to a flying start with his red hot jazz band featuring some of the best jazz musicians form UK and guests form all around the world. Renato will be performing originals and standards in the first set. An accomplished jazz singer joins Renato on stage as a main guest in the second set, with more Jazz from Renato and his band on the third set . 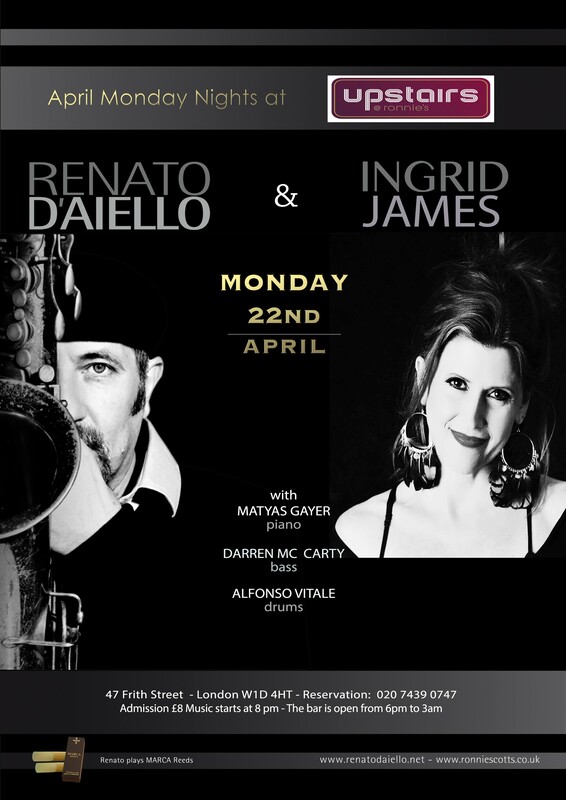 Ian Carr, jazz writer and critic says of him: "Renato is a superlative saxophonist with a passionate and poetic soul. He has all the virtues - a beautiful sense of time and pacing and a technique which effortlessly projects his brilliantly flowing ideas." 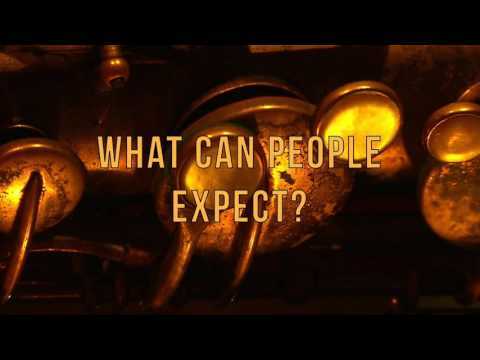 Renato D’Aiello has become known as one of the strongest and most beautiful saxophone sounds around. His treatments of jazz standards, and originals, both live and on cd, have won great admiration from audiences and the press. Renato studied with masters such as Sal Nistico, Tony Scott, Steve Grossman . He has played with great jazzmen like : Art Farmer,Sal Nistico, Steve Grossman, Eddie Duran, Kirk Lightsey, Keith Copeland, Duffy Jackson, Tony Scott, Jim Mullen, Bruce Forman, Gene Calderazzo, Phil Lee, G.Husband., Alain jean Marie. 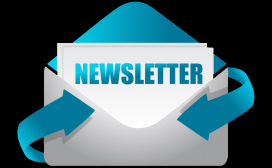 He has played in most of the major venues and festivals in the UK, and since May 2002 he has played several times in Paris, receiving warm acclaim from Jazz Hot magazine and TSF radio. Renato also played in Japan, Berlin, Sweden, Spain, Portugal, Norway, Italy, Finland. 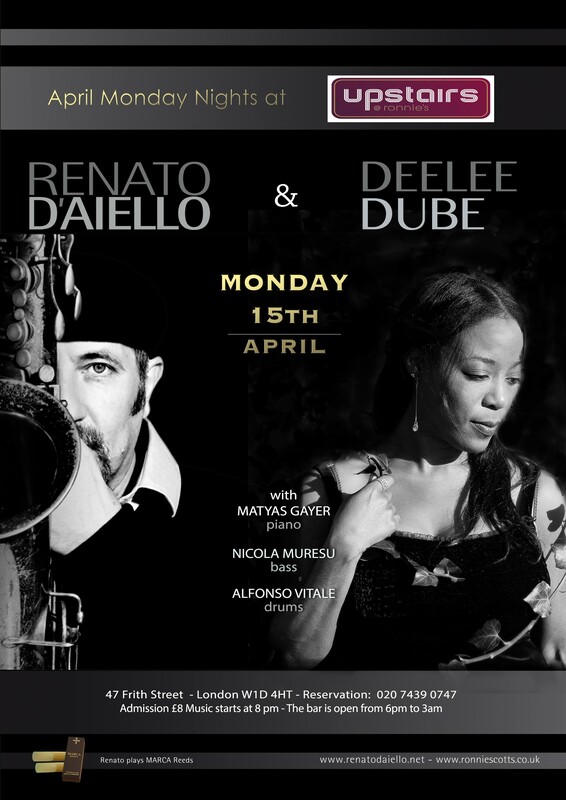 Since July 2010 Renato has been running a very successful Monday night upstairs at Ronnie Scott in London and a few other resident gigs like ”Primo bar” at The Plaza Hotel in Westminster,London, Toulouse Lautrec, Spice Of Life. 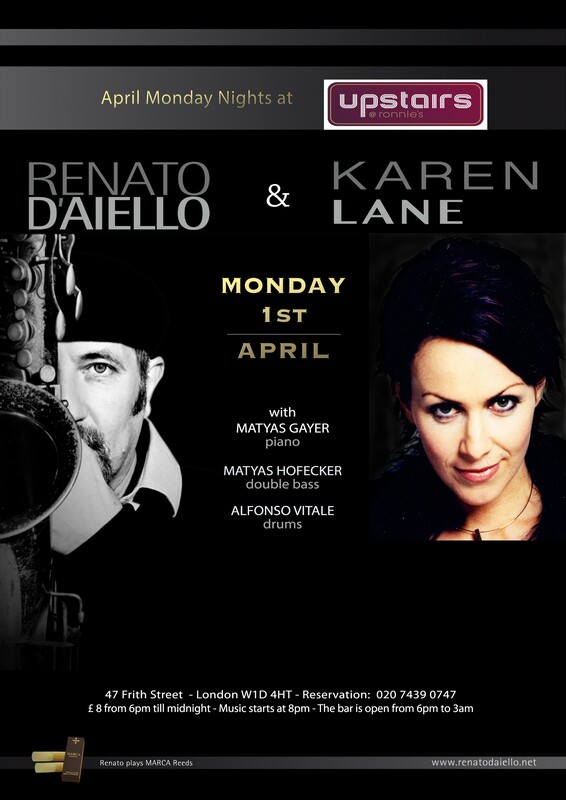 Renato performs regularly at Pizza Express Dean Street in London and many other of the best clubs in UK. As a teacher Renato has been teaching in most of the best Jazz schools in Italy, then Goldsmiths College in London, Sherborne College and done many master classes in Japan ( Nagoya ) UK, Italy, Swisse. Tell us what you think of Acoustic Jazz Lounge - Doors open 6pm / £8 on the door below..